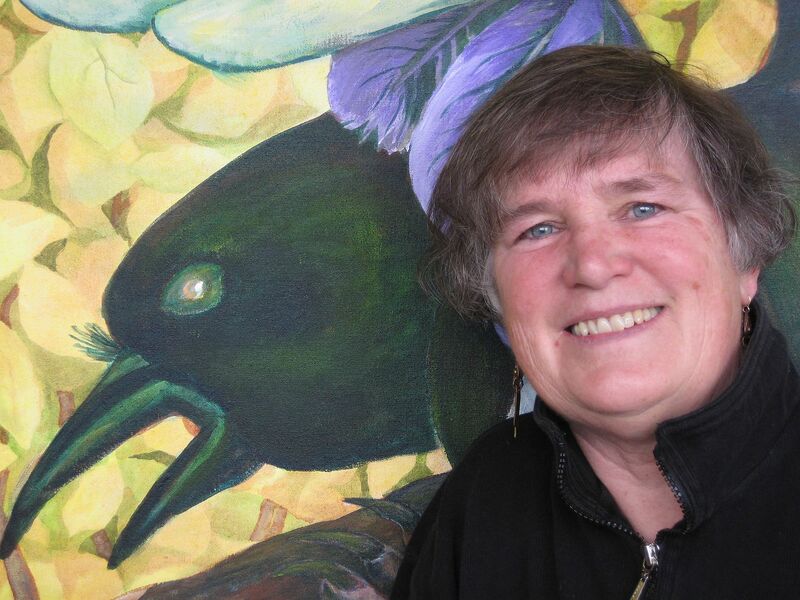 Donna Caulton’s paintings may be considered mandalas of the natural order. The story is of an earth in balance. 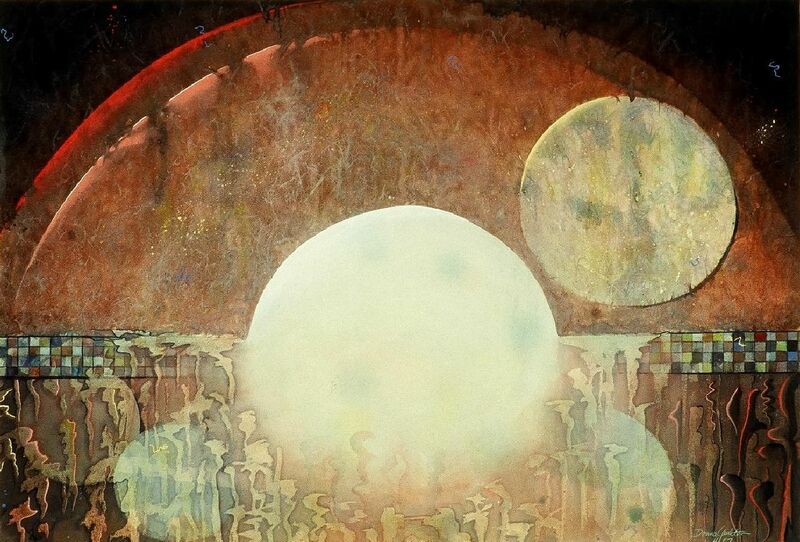 In traveling her imagined landscapes, a central sphere brings light, centering, balance, and the intent of wholeness. The two balancing elements required for sustaining earthly well being: the celestial source of light and spirit, and the earth source of growth, cyclical change and reproduction, show up in various ways in Donna’s work. She has developed a visual language around the balance of masculine and feminine elements, light and dark, death and rebirth, and in symbolic representation of the cycles of life and reproduction within earth’s ancient story. Her acrylic paintings are in bold colors, dense with representations of life forms and symbolic in interpretation. Louis Mangione Collection: “First Flight”, “Manta”, “Budding Moon”, “River of Dreams”, “Homage Rising”, “Earth Vessel” Monoprints, #s 8, 9, and 10, “Night Peepers”, “Lunar Drum”, “Mountain Song”. 1985, September: “Lunar Tapestries”, King County Arts Commission Gallery, Seattle, WA. 2009: “Edible Santa Fe”, winter edition, “Feast your Eyes”, pp. 47, 48. 2008: Sound Healing: Vibrational Healing with Ohm Tuning Forks, by Marjorie de Muynck, page 7 and color insert. 2005, October: “Art Port Townsend” festival poster and studio tour brochure cover. 2011, February: Miniatures Exhibit, Millicent Rogers Museum, Taos NM. 2005, December: “Small Expressions IV”, Northwind Arts Center, Port Townsend, WA.